We participate in a summer long coed church league that lasts from June - August. 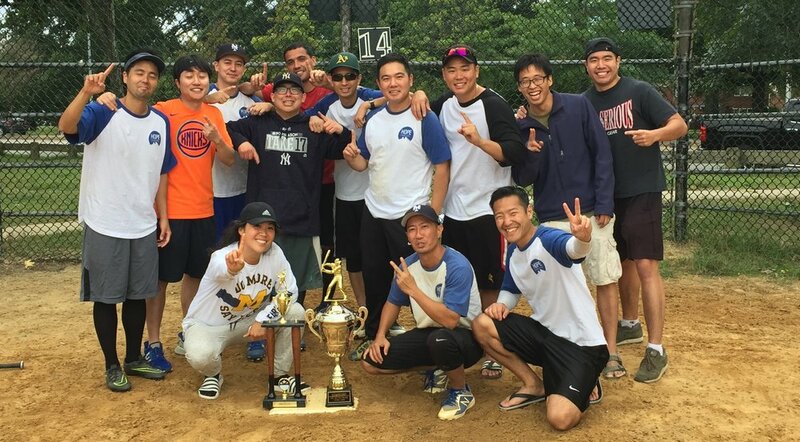 The league games are scheduled on Sunday afternoons at Cunnigham Park in Fresh Meadows, NY. On Sunday afternoons in the summer when we do not play we hold practices for those who simply want to learn and fellowship. We aim to be highly inclusive, welcoming and encouraging, for we view our sports teams to be an opportunity to fellowship as a light to this city. 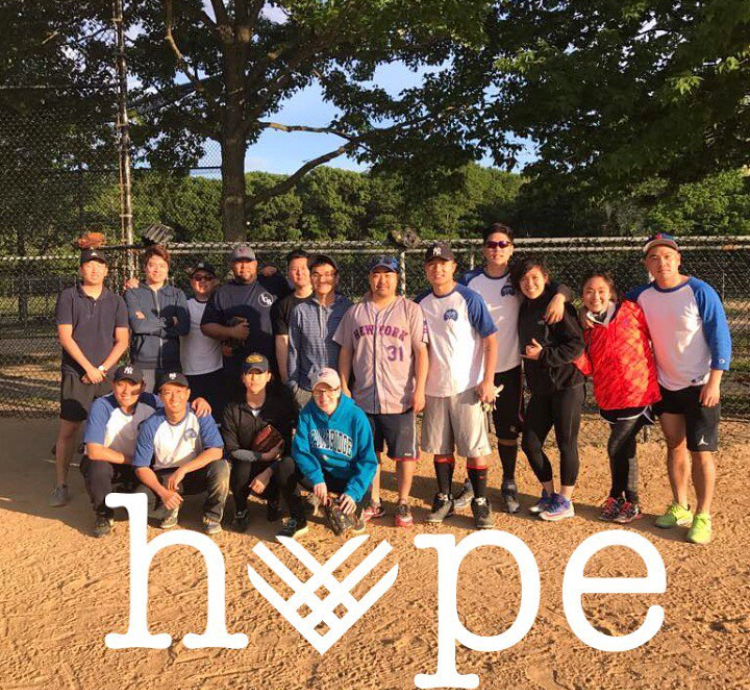 Our softball team also participates in our one day Hope Church NYC network tournament. We participate in a church basketball league from January - April. The league games are scheduled on Sunday afternoons/evenings at Holy Cross High School in Auburndale, NY. We hold practices during the weekdays for those who wish to run with our team. And of course, even if you do not want to be on the team, you are still more than welcome to join our practices for some exercise! 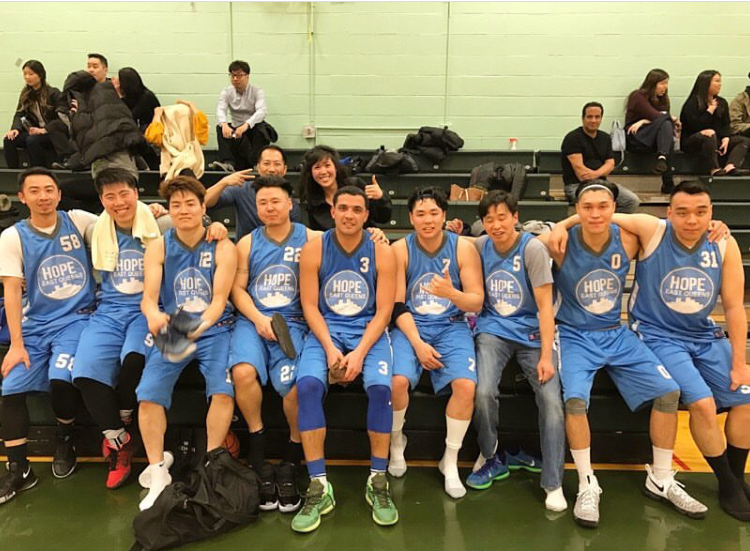 We also participate in the annual Hope Church NYC Basketball Tournament, which will be on February 16, 2019 at Frank Sinatra School of Arts in Astoria, NY. Congrats Hope East Queens, 2019 New York Christian Basketball League Champions! Our basketball team fought through a tough regular season and playoffs, overcoming injuries to win in the championship game by three points in an intense battle that came down to the last play. Congrats Hope East Queens, 2018 Hope Church NYC Softball Tournament Champions! After getting rained out in 2017, Hope East Queens played in the first ever complete Hope Church NYC Softball Tournament where we finished the one seed and edged out Hope Church Astoria in the finals. Congrats Hope East Queens, 2018 New York Christian Softball League Champions! In only our second year in the league, our softball team banded together all summer to finish first in the regular season. We then capped off a memorable season by winning the championship game in a thrilling come from behind victory by one run.